Locate the k in the first column that is at least as large as the number of factors in which you are interested. Then let N be the number of rows (tests) given in the second column. 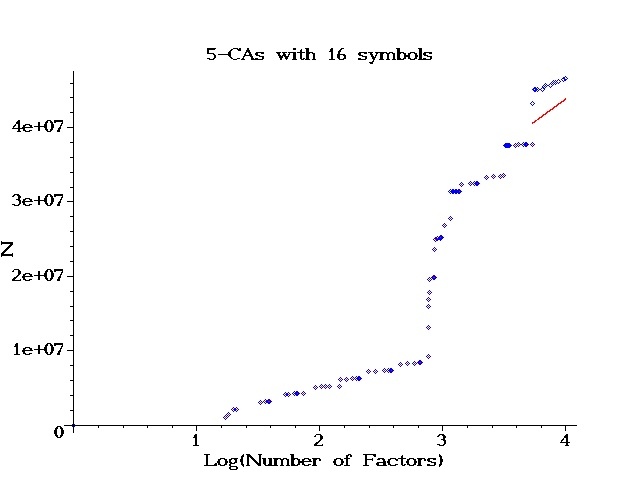 A CA(N;5,k,16) exists according to a construction in the reference (cryptically) given in the third column. The accompanying graph plots N vertically against log k (base 10). Change t: - + Change v: - + or go to Global Menu.